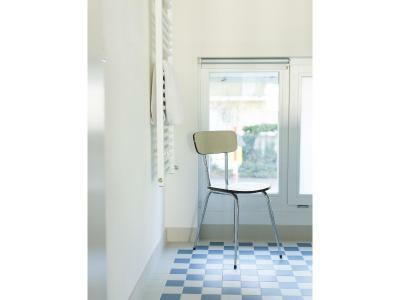 Lock in a great price for Basel BackPack – rated 8.4 by recent guests! The guys at the reception were very cooperative and very friendly. They gave me a couple of helpful tips. Staff is very friendly and email communication was quite fast. Rooms are spacious, comfortable and warm and I got one of the large beds! 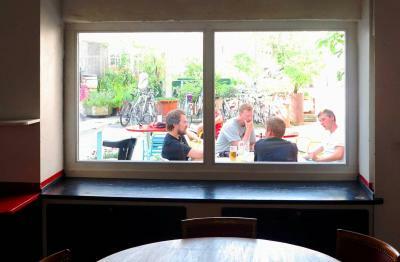 The hostel is located in a complex that contains many social initiatives, a craft brewery and a bio restaurant. I loved the area and the quirky shabby chic decor. 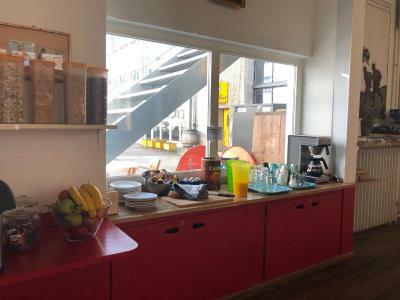 The staff were friendly, the bed was comfortable and there is a nice common area downstairs with a selection of interesting art magazines. 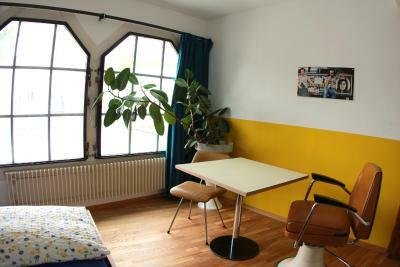 1) Very clean and comfortable room. 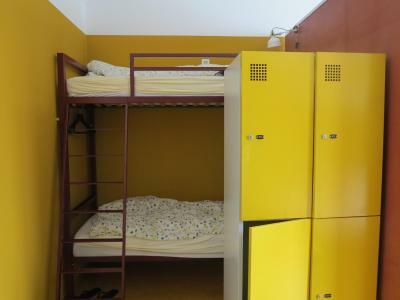 Quite private even within the dormitory as the beds are seperated by lockers / some section. 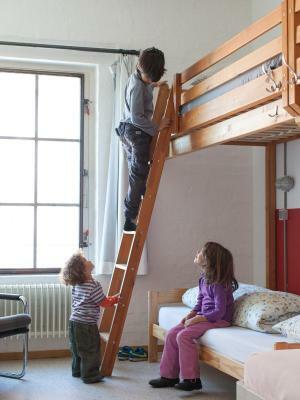 Big wooden ladder to help you climb up the top bed. 2) Fresh & clean linen provided when you check in 3) I arrived 1 hour prior to check in & they didn't say a word & allowed me to check in immediately 4) Basel travel pass included in the hostel booking 5) Big reception area where you have books & lot of places to sit 6) No locker rooms, but the staff dont mind if the guests leave the bag at the reception. I left my bag at the reception & came back late in the day. 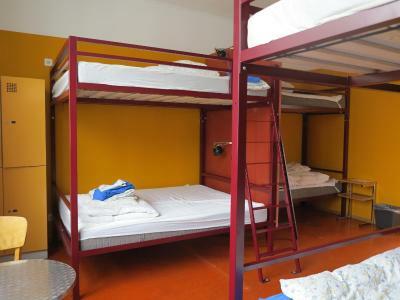 7) Unsure how many beds are there overall in the hostel, but the place has 5 WC, 3 shower rooms. Didnt feel any crowd as it was off season. However not sure if the place is full & that would be sufficient. Its a mixed WC & shower area. But there are designated ones for woman & men too. 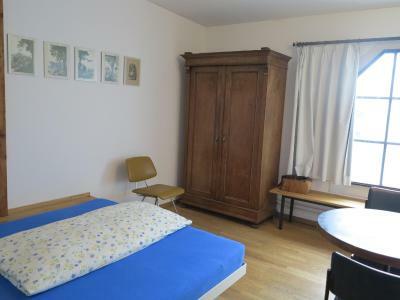 Everything else is great, well equipped kitchen, big room with rope to hang your stuffs, clean, spacious and the mattress is comfortable. Lockers are huge and the layout of the room does give you some privacy. Bathrooms and shower rooms are clean. Staff are helpful and friendly as well. 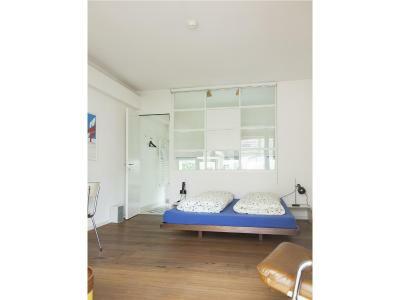 Location is close to tram 15 and 16 which can bring you to most of the places in the city centre. Easy to arrive by tram, they give you a day-pass for public transport in Basel. Easy to get to the center of the city. The staff was super nice. Good for backpacking. Staff was helpful. I got free public transportation ticket. Bed was good. There is a free locker with lock. We had a room with private bathroom. Everything was great. 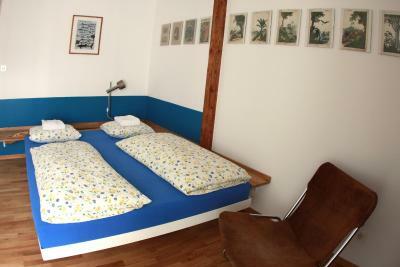 There are two such rooms, one has two separate beds and the other room has one big bed. We took bus 50 to the Bahnhof. After, you go through the Bahnhof to the other side and take tram 15 or 16 to the Tellplatz stop but you can go on foot from Bahnhof. Staff was very helpful. You get all transport ticket for whole stay when you check in. Would stay there again. 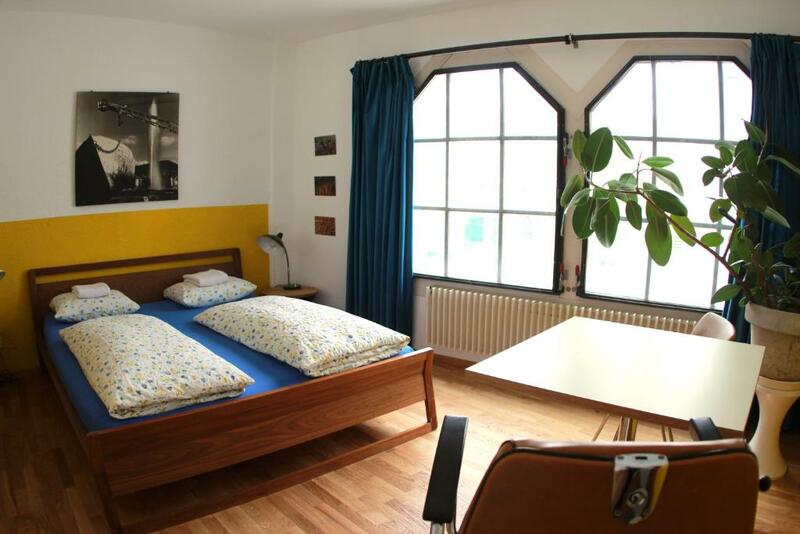 Close to Bahnhof SBB station and easy to get to the city center. Great staff. Hostel has a kitchen - money saver. 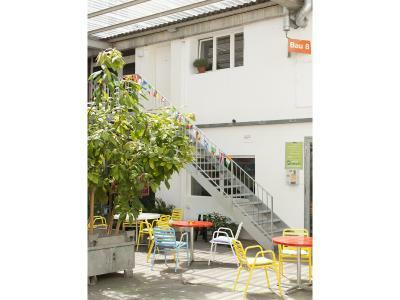 The Basel BackPack is housed in a renovated historic factory, only 10 minutes from Basel’s main train station. The Basel Mobility Ticket (free public transportation) is included in the rates. 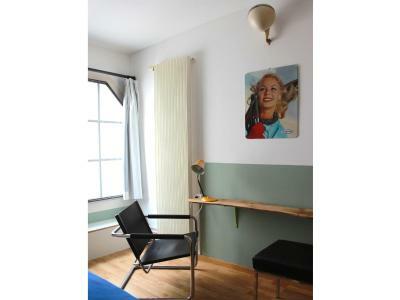 The Basel BackPack offers pleasant accommodations in an urban loft style in the Gundeldinger Feld neighborhood. 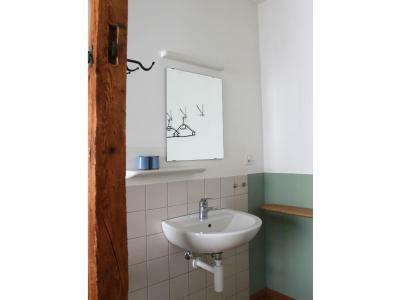 Shared bathrooms with showers are located next to the rooms. The wheelchair-accessible Basel BackPack also features a kiosk and a washing machine with a dryer. 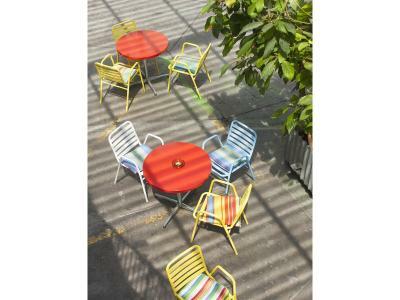 The Bar-Café PriMateria serves snacks and refreshments from breakfast to a late cocktail. 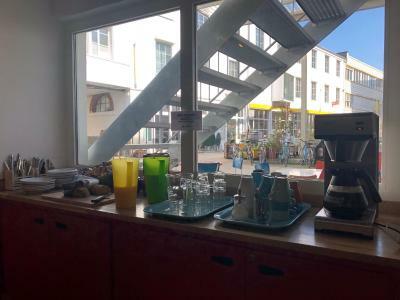 There is also a kitchen, where you can cook yourself, and vending machines for drinks and snacks. The next tram stop is just 350 feet away from the Basel BackPack. When would you like to stay at Basel BackPack? Simple and cozy room in urban loft style. 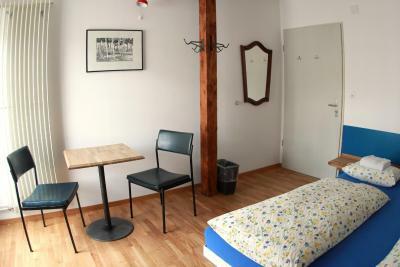 Newly renovated in 2015, wheelchair-accessible, with shared bathroom facilities. 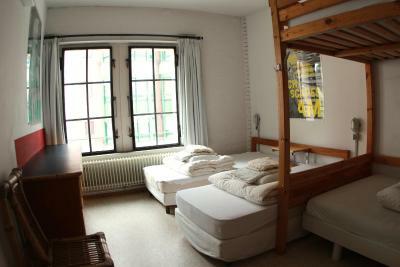 Simple and cozy 8-bed dormitory in urban loft style. 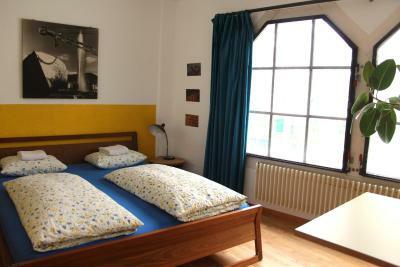 Newly renovated in 2008, lower beds wheelchair-accessible. 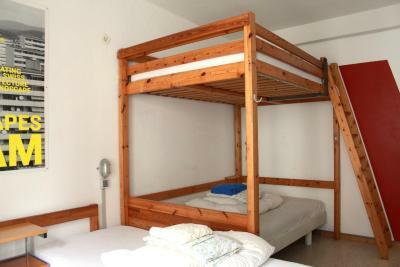 This is a bed in a female dormitory room. 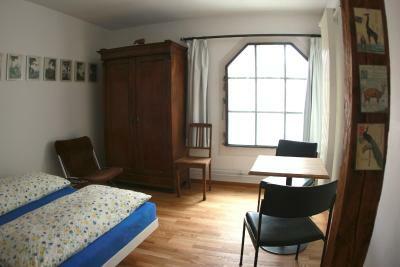 This is a private room with shared bathroom facilities. 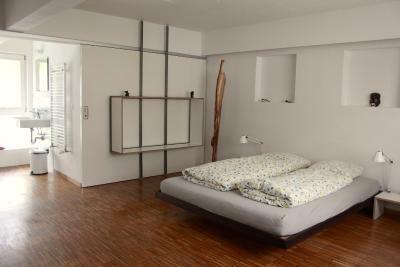 Newly built in 2014, this room comes with a private bathroom, a seating area, a sound system and free WiFi. House Rules Basel BackPack takes special requests – add in the next step! Other Basel BackPack accepts these cards and reserves the right to temporarily hold an amount prior to arrival. Basel BackPack accepts these cards and reserves the right to temporarily hold an amount prior to arrival. Late arrival: If you plan to arrive later than 8pm, please contact the hostel in advance! Some Indian guy was arguing with his girlfriend on the phone at 1 am and was very loud and very rude when we asked him to be quiet, he didn’t let other people sleep. But you can’t blame the staff for his behavior. The wifi is a bit slow. 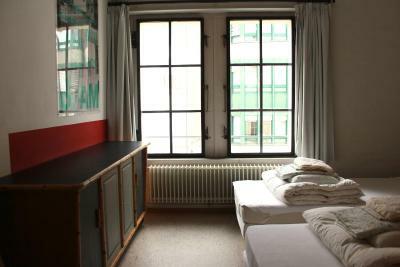 The place was super clean, the hostel rooms were spacious and beautiful, the beds are huge and comfortable. My bed was kind of a double bed and it was very comfortable. They provide linen blankets. 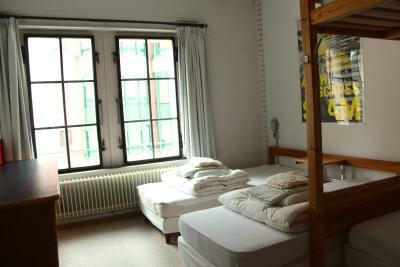 The hostel has a nice kitchen and a laundry room. I loved my stay over here, I wasn't exactly expecting this much at this price. The breakfast was good, not too many varieties but quality was good. The staff was friendly and helpful. Breakfast seemed unattractive (didn't try it out though) Not so easy to park on the streets surrounding the hostel. Lockers were a little small, as I was carrying a 40L bag that was rather full. 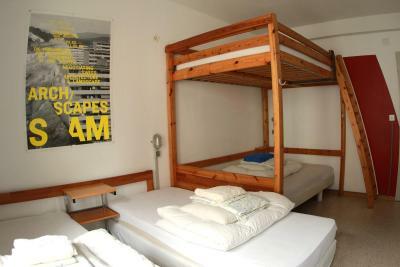 Bunk beds were rather tall, too - I've never slept up this high! :D It was not that bad, but my bed lacked an extra railing, so I didn't feel entirely too safe. The staff was excellent! Professional and very helpful. 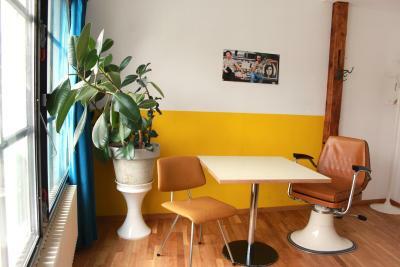 I thought the facilities were quite good and clean as well, I liked the shared dining table. 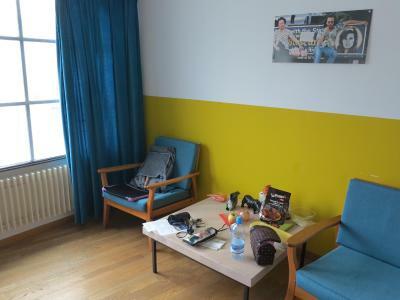 Another great thing is Basel City Card you're given when staying at a hostel/hotel in Basel, it's not *really* to do with the hostel, but it definitely made my stay even nicer! The breakfast, although I didn't go for it, seemed really good too. everything else. check-in took ages (one person manning everything). the sheets were crap, the walls don't stop any noise. reception should remind EVERYONE to keep it down after 10pm to let others rest. breakfast very basic. 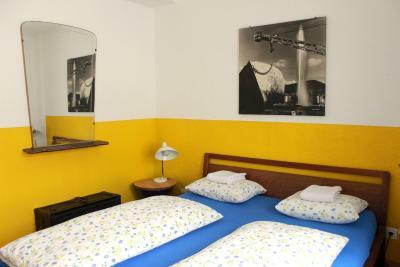 The hostel is close to the train station. The staff was really helpful. You get a Basel Card when you check in, so you can use the public transport free and enjoy free wifi across the town. Great breakfast and helping staff! Location is not super easy to reach, specially during the night. Agreed with the staff to have a towel within my late (self) check-in. But there was no towel available at all. 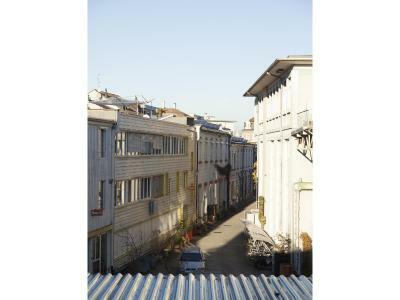 Location was a bit remote from old town but close to main train station. 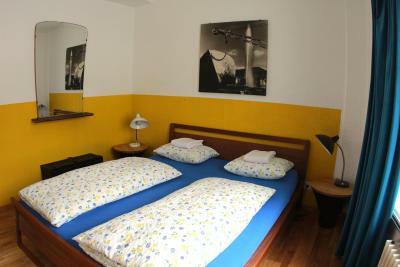 Great staff, great facilities and true atmosphere of a quality hostel. It was rather cold in the room - window too big, heating turned off, blanket a little too small. Also, in the shower it's draughty - open cabin at the top. Bed was double, good mattress. 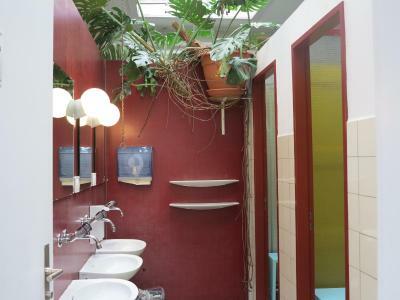 Showers had huge plants, and a little area for stuff not to get wet Staff ware super nice Free locker, free towel Base Card included - super awesome! 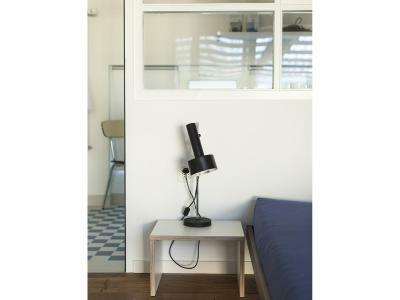 I would like a bill: PASARÉT BT 1026. BP. PASARÉTI U 100.